Well mom friends, it's almost Mother's Day. I haven't done any shopping or given a suggestion about what I would like. I have a lot of work to do this week! I haven't mentioned all of the great companies that I highlight on my website, so I thought what better time than now. You may be just like me, looking for a few great ideas for yourself or your own mother to make it a great celebration this weekend. You can click on the buttons on the right-hand side of the screen to get to the site. First up is Noodle and Boo. You can find their products in stores like Nordstrom, Bergdorf Goodman, and Neiman Marcus. Their online store carries a full range of products for baby and mother. 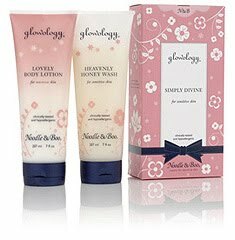 Check out the "special gifts" tab and you'll find the simply divine package - perfect for mom's of all ages and stages. 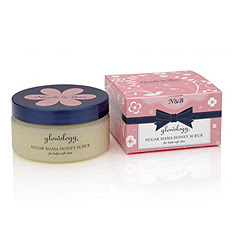 And on the "bath time" tab, look for sugar mama honey scrub for the mom who needs a little extra pampering.